Its officially the last day of our 2018 season!! The weather is foretasted to change in the upcoming week, so we are lucky to have the sun for our last day!! We encountered humpback whales west of Victoria just outside of the blanket of fog. They were in a loose aggregation feeding at the surface and approached the boat to check us out several times, very cool!! Seals and Sea Lions have been plentiful at Race Rocks Ecological Reserve as they soak up the sun and compete for space on the rocks. ~ Whale see you in the Spring!! Its officially the last weekend of the season!! The weather continues to be sunny and calm, perfect for whale watching! We encountered several friendly humpback whales West of Victoria. They were seen lunge feeding over and over! These gentle giants need to put on a thick blubber layer for their long migration south for the winter. Race Rocks is full of barking seals and sea lions, as they sun themselves and compete for space a lot the shoreline of the islands. Sightings Report for October 14th 2018 - 1 week left! There is only 6 days left our 2018 season!!! Sunny skies and calm seas continue into the week, and we couldn’t have asked for better weather! The Humpbacks have been stealing the show lately with a lot of cool surface behaviour. The fleet encountered several lunge feeding, cartwheeling and breaching individuals and we love to see happy whales! They are scattered throughout the area feeding on the bounty of zooplankton and bait fish in the water column. Soon most of them will migrate to their tropical breeding grounds for the winter. These whales will travel thousands of kilometres to Hawaii and Mexico! Time flies when everyday on the Salish Sea is a blast! We cannot believe our 2018 season is coming to an end. Yesterdays skies were clear and sunny with low winds, making the conditions ideal for whale watching, once again! Our fleet spent the day out West with humpback and orca whales. Biggs Orca groups were picked up along the coastline of Sooke. One of our vessels had a close encounter as the whale took down a harbor seals right next to the boat, everybody’s got to eat! 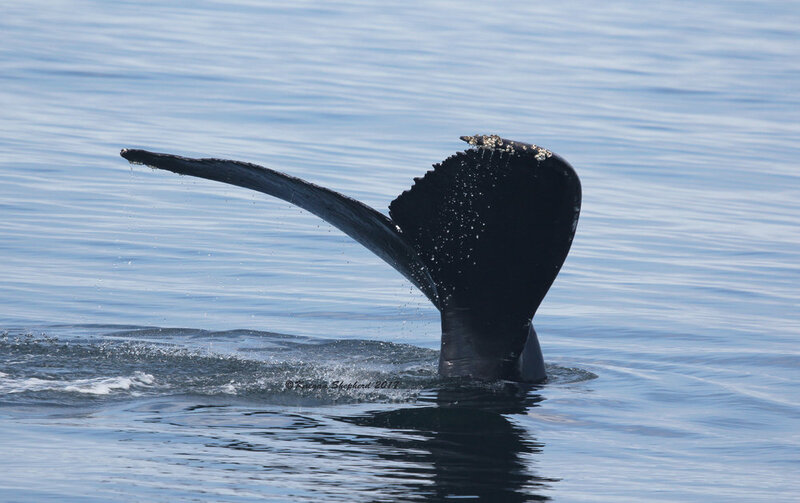 There have been juvenile humpbacks feeding near Race Rocks Ecological Reserve! Often seen with their mouth gaping open as they break the surface to trap their lunch. Lots of seals and sea lions can be seen (and smelt) relaxing along the shoreline of Race Rocks. Often heard barking at one another as they compete for space with the other males. Another wonderful day on the water! The clear skies and hot sun has us thinking its summer again. Before our vessels left the harbour there was reports of the mammal eating Biggs orca near the San Juan Islands. The group was scanning the channels for potential prey, like a delicious seal or porpoise. Humpback sightings have been unreal lately, with lots of surface behaviors. They have been seen lunge feeding, pectoral fin slapping, and cartwheeling. Although our season is almost over, there is plenty of action taking place in the Salish Sea!